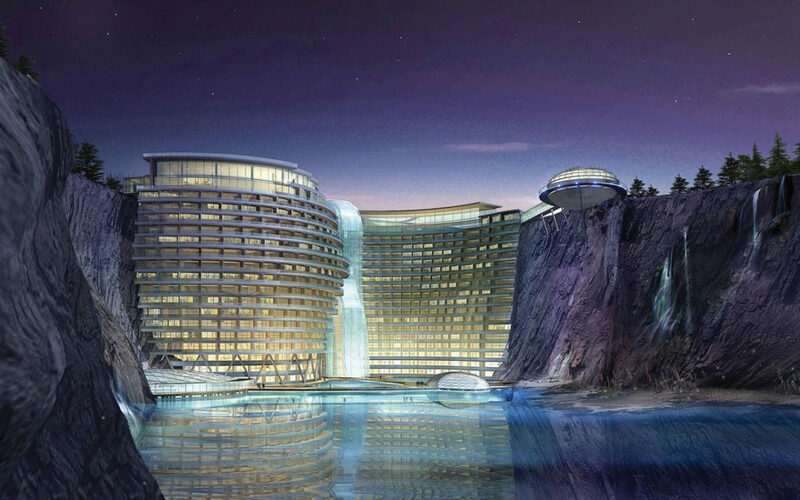 Hotel in a Chinese Quarry Anyone? This spectacular 336-room hotel is being constructed in a Chinese quarry near Shanghai, based on a story in the Guardian today. Quite a spectacular use for an old hole in the ground – the hotel design featured in the Eden Project book 101 Things to Do with a Hole in the Ground, first published in 2009!